Dr Joseph Müller was an Austro-Hungarian military physician from Prague who served as medical commissioner in Albania and Rumelia around 1838. He is remembered for his book “Albanien, Rumelien und die österreichisch-montenegrinische Gränze” [Albania, Rumelia and the Austrian-Montenegrin Border] (Prague, 1844) which contains much statistical information about the region. The following excerpts reflect the level of general knowledge of the Albanians and their language in the first half of the nineteenth century. 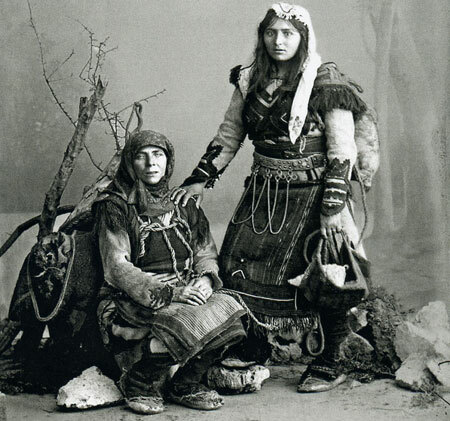 The main body of the population in the northwestern and western parts of Rumelia [European Turkey] are the Albanians (from Alb, Alp) who call themselves Śtepetars in their national language. The Krraba mountains separate the two principal groups: the northern Catholic Ghegs and the Greek-Orthodox Tosks living in the south. The Ghegs are spread over 16 main tribes (fis); in particular one finds the Malisori [malësorë – highlanders] in the mountains of Shala and Prokletija north of the juncture of the two Drin rivers; the Gruemir and Bukëmir in the western Pulat mountains; the Kući and Komi in the northwest around the lakes of Plava and Rikavec; the Kelmendi and Grudi [Gruda] on the left bank of the Morać [Moraća] River; the Hoti to the east of Lake Shkodra; the Iśkrel [Shkreli] and Kastrati between Shkodra and Gusiñe [Gucia], the Zalef between Antivari [Bar] and the western bank of Lake Shkodra, the Mrković near Dulcigno [Ulqin/Ulcinj], the Zadrim on the southern bank of the united Drin, the Mirditi [Mirdita] in the valleys of the Prćelei and Krraba mountains, the Hasi on the right bank of the Drin between Prizren and Gjakova, and finally the Zubi between Gjakova and Mount Pastrić [Pashtrik]. The number of Ghegs (of whom many have converted to Islam to avoid the head tax) is estimated at 380,000. Cruel, devious, stubborn, averse to any change, against anyone who does not know their language, hostile, and filled with a profound hatred for the Serbs and Montenegrins, even ill-disposed towards the ethnically and linguistically related Tosks for religious reasons, full of superstition, and religious zealots (be they led by an Ottoman imam or a Roman Catholic missionary), the Ghegs are completely different from all other nationalities in their country. The spirit of European humanism will never take hold of them without thorough and bloody reforms of their political and religious way of life. Praiseworthy, on the other hand, are their austerity, frugality and strong sense of self-assurance. Of particular note is their pride in Djurd Castrotić [Gjergj Kastroti – Scanderbeg], Europe’s bulwark against the invading Turkish hordes, and in Prince Musa from Klissura [Këlcyra] whose heroic deeds are sung in curring and deafening songs that offer a final consolation to those dying. The Tosks, who can be divided into the following large tribes (far): the Labi, the Djumi, and the Toxides, are only to be found in the towns of Tirana, Elbasan Draç [Durrës] and Kavaja, although their actual homeland is to be found south of the Uśkomobin [Shkumbin] River in Lower Albania and in Epirus. The total number of them in the four above-mentioned settlements probably does not exceed 3,800. They share all the national vices of the Ghegs but not their virtues, because their most prominent characteristics are slyness, lust and gluttony. They love war for war’s sake and offer their services to the highest bidder. The irregular troops that have occupied the Arsen Monastery in Peja since 1837 in order to keep the local Gheg and Serbian tribes under control, are also of the Tosk tribe since most of the come from the district of Noskopolé [Konispol], southeast of Butrint in the Pashalik of Janina. The Albanian language, which his thought to be related to Sanscrit, is characterized by numerous sibilants, an unpleasant conglomeration of consonants, and simple grammatical constructions. Although it is capable of strong, even literary usage as the impromptu declamations of balladeers at Sunday markets show, the language remains uncultivated because the Ghegs use Latin script which is not suitable for the language, whereas the Tosks adopted the Greek alphabet to which they added 9 new letters, including the sibilant ‘th’ as in English. Declensions are formed by the addition or removal of a final ‘i’. An ‘s’ before a verb gives negation; it is a sort of alpha privativum. Expressions: náti amir “good day,” fali miners “thank you,” sa páre “what is the price,” dua “I want,” sdu “I don’t want,” pédi “I understand,” nukdi “I don’t understand,” hip “I don’t know,” and bière “bring.” Words needed for daily life: buk “bread,” ui “water,” ugod “vinegar”, tsik “knife,” kal “horse,” rug “road,” keć “bad,” and mir “good.” These are the shibboleth that enable the foreign travellers to get unharmed across the Albanian mountain ranges because the suspicious and proud Albanians avoid any further detailed conversations anyway. The Gheg receive travellers (śuèg) – if they are of the same religion and speak his language – with great hospitality, designates them as his friend (mik) and even his brother (vla), and protects them with his life against any attack from outside. With the Serbs, only the Greek cross opens the doors to hospitality and fraternization (pobratim). What is so particularly evident among the Morlaks and Montenegrins only has followers in the community of Spizza and on the banks of the Moraća River. Blood feuding (Serbian krvarina, Albanian dźak) is ubiquitous in this country and even in cases where a surgical operation fails (hakk edem, the price of spilt blood), and is sanctioned by expressions such as: ki se neosveti, on se neposveti).